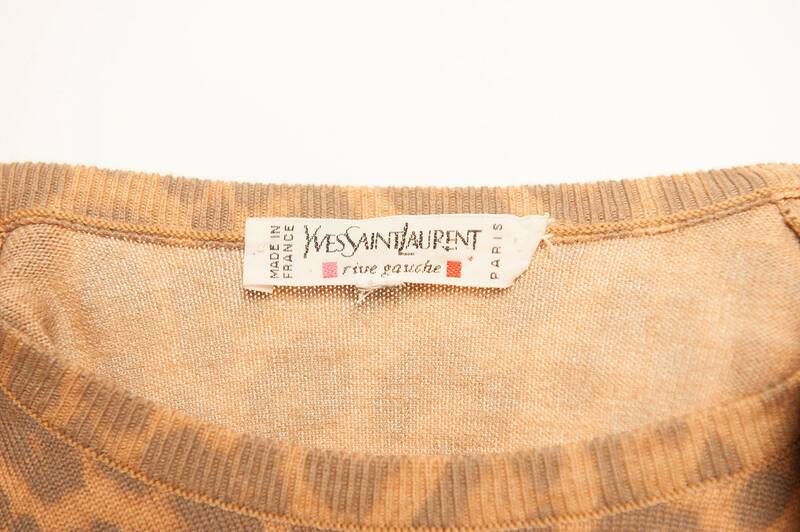 Short sleeves knit top by Yves Saint Laurent from 1980's. 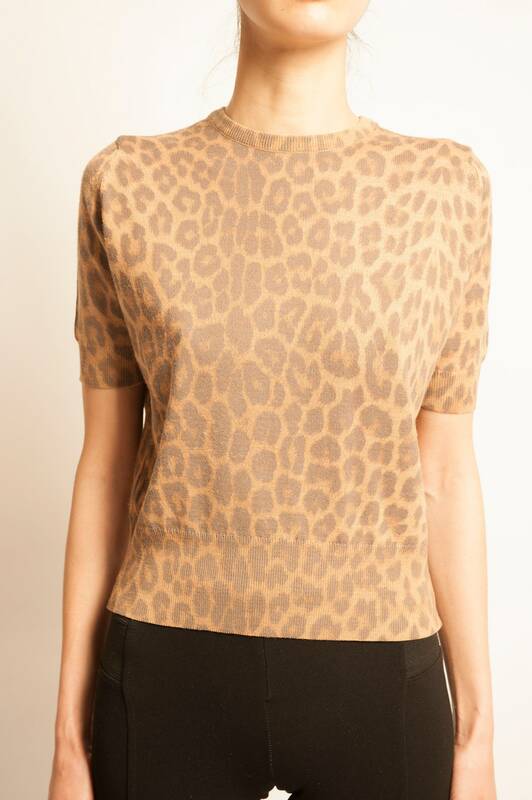 Leopard motif. Size S.